Small repair bottom crossfold, slight fold splits at edges. Extremely rare poster for this Ealing classic, based on a story by Graham Greene of Nazis invading a sleepy English village. 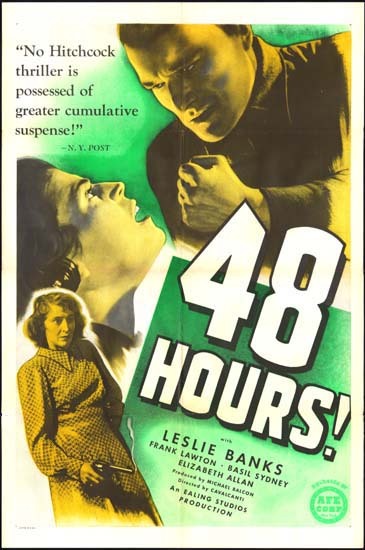 Made mid-war, a brutal piece of propaganda for its time, where everyday folks become subject to unflinching violence & are forced to fight back with whatever comes to hand. Poster is for 1st US release.